Heinrich Giebelhaus was born March 30, 1847 in Norka, Russia, the son of Conrad Giebelhaus (born 1820) and Katharina Yost (born 1819). Heinrich (Henry) married Sophia Reiswig in Norka on February 17, 1870. Sophia was born August 2, 1849 in Norka, the daughter of Johannes Reiswig (born 1812) and Maria Elisabeth Hölzer (born 1813). 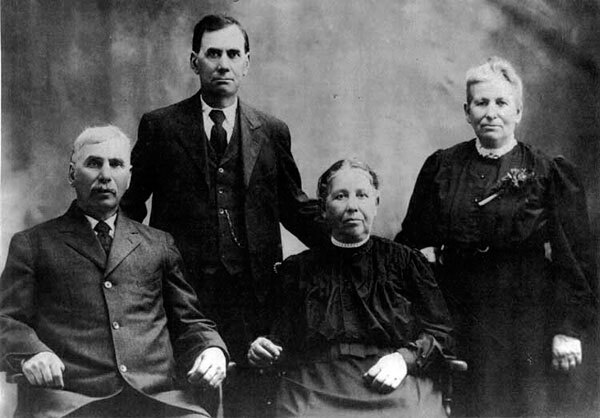 Henry and Sophia immigrated to the United States in 1900 and settled in Portland with Henry's siblings John, Anna Elisabeth (Alice), and Anna Maria (Emma). Henry died on February 28, 1920 in Portland. Photo and information courtesy of Marie Krieger and Judy Wittke.